When I was in my twenty’s and thirties I purposely sought out mentors who I believed could add value to my life. I wanted to learn from people who had proven experience as leaders, and from those who would be genuinely interested in pouring into my life in order for me to grow and become a well-rounded individual. As an African-American woman who grew up in the city and within a majority black community, I had always desired to engage with a strong female mentor who could appreciate and embrace my rich cultural history, my experiences, my dreams, and my potential. It was important to me to find someone who was capable of helping me develop into a more confident woman without insensitively dismissing or stripping away all that I am. I felt a great need to engage and to be engaged cross-culturally. The challenge, however, seemed greater than I anticipated. Now, many years later, I have come to understand that healthy and effectual cross-cultural mentoring demands that the mentor be able to accept the challenge of diversity by acknowledging holistically that mentees may be working from different cultural frameworks than their own. Culture is complicated. All of us are a part of various cultural and subcultural groups, and we continue to be shaped by a diversity of influences. Culture comprises more than the broad categories of race, gender, and age. People are deeply informed at some level by both substantial and negligible factors such as socioeconomic status, body size and shape, language and idiom, educational levels, technological exposure and proficiency, and so many other demographic and environmental considerations. Culture is influenced by health and dysfunction within family systems, both success and crisis experiences, and evolving worldviews and community contexts. It follows that cultural diversity plays a major part in what mentoring relationships require today. Mentors today must have the ability to work sensitively, authentically, and competently in diverse cultural situations and settings. It is essential for mentors to employ more than sufficient awareness, knowledge and skills to engage people who represent different cultural values, traditions, customs, and norms in ways that are safe and respectful. I can recall when in my early 20’s I was thrown into mentor-mentee relationships that were not what I would call “good fits.” I remember one woman was very kind to me. I look back now, however, and realize that she was not at all responsive to the particularity of my cultural experiences. Perhaps somewhat beyond her control, she was unenlightened about the community in which I lived. I would share with her how both my father and grandfather were business owners in addition to being gainfully employed, most weeks working six or seven days. I shared how my mother was both a homemaker and an entrepreneur who operated an in-home childcare business. And yet the only future my mentor could envision for me was to be a secretary. No matter how often I would share my dreams of higher education, speaking internationally, owning a business, running for political office, or becoming an author, she would merely nudge me towards my limitations and not my potential. I was an inexperienced young adult and would at times be tempted to settle. Yet there was something within me that would rise up to remind me that being a secretary was not God’s purpose or path for me. Finally frustrated, I decided to end the relationship. In my early 30’s I entered into another mentor-mentee relationship around areas of leadership and business development. My mentor and I would meet twice a month over coffee, but often ended up engaging only in surface conversations. Most of our exchanges centered on her perceived dysfunction of my family background and her excitement about me wanting more for myself. She was content to sit in a place of uninformed judgment, constantly asking about my family structure and focusing on superficial ethnic identifiers. She wanted to know if my parents were married to one another. She asked to touch my hair, which became very demeaning, and not detriments to or determinants of my bright future. She appraised my clothing, my body type, and my dialect and speech patterns. She took joy in asking me to repeat words that were commonly shared in our local community. I thought she actually might be seeking to learn about my cultural uniqueness, but I realized quickly that, consciously or subconsciously, she only served to belittle me and the community to which I was connected. With both of these experiences there were undoubtedly some learning opportunities, but I knew something was missing. I was looking for someone who would allow me to be the best me that I could be, and who would gain from me even as they were giving to me. I desired to learn from mistakes and to grow into the person God created me to be. I knew the person who could help me would necessarily be a strong female who was aware, confident, bold, accomplished, knowledgeable, and one who had the humility and capacity to allow me to nourish them as they were encouraging me. “Iron sharpens iron.” Even then I aspired to be an international speaker, entrepreneur, and author, ultimately being equipped to share freely parts of my life’s journey with those who would later follow. My story is not uncommon among persons of color. What is missing when it comes to mentoring? For me, being intentional in mentoring cross-culturally means looking at life and success through different cultural lenses… together! My desire is to help both mentors and mentees become more fully aware of cultural differences and to value the voices of others and their unique cultural expressions in leadership, entrepreneurship, or any other area of our society. One must mentor beyond what they know through their own lens, and step into the shoes of another through authentic relationship and ask, “What do you see?” Culturally unaware and ineffective mentoring only perpetuates the increasing divide between people and communities who happen to be different. If mentors are willing to connect in more culturally sensitive ways, experiences with mentees could afford them new ways of understanding success and leadership. If those women in my own experiences had been more open to who God made me to be, really listened to my unique stories, learned from my background, and critiqued their own cultural lenses, maybe things would have been exponentially better for all of us. As I researched the many definitions for mentoring, most suggested that mentoring is about a personal developmental relationship. It is customary in this sense for the more experienced and more knowledgeable person to journey with the less-experienced or less- knowledgeable person, depositing valuable insight over a period of time. I would like to submit, however, that in today’s society the reciprocal and mutual value that comes with true diversity is one missing ingredient. Mentoring must be a shared, two-way relationship, acknowledging the unique contexts of culture and the uniqueness of our respective experiences. This contemporary generation desperately needs mentoring that appreciatively engages their contexts without judgment and amplifies their unique voice to enlighten the mentor with their thoughts and perspectives. This creates space for them to blossom and to grow into their greatness. This generation of young adults longs to have someone come alongside them who has a sincere desire to embrace them and to mentor based upon who they are and who they can become. Just because a person is someone of great reputation or celebrity, holding a high executive title, or one who may “talk” a good diversity game does not necessarily mean they are equipped to serve in this role as mentor with one who is different. Prospective mentees are seeking people who have made the commitment to join them on their journey and to teach practically and contextually for growth. They want to roll up their sleeves and get involved, conceivably through serving with their mentor in service projects for the good of communities or creating philanthropic events to raise funds for organizations or persons in need. Having the ability to grow in every facet of an organization or a business from building volunteers to understanding and implementing a budget, to relationship building and effectively communicating… and doing it all… together! Over the last few years I have felt the desire to mentor others especially those among marginalized young adult women. Some options seemed to be missing from what was available to me when I was growing up and I decided to do what I could to fill the void. An example from my own journey may by helpful to illustrate my thoughts. I think about my daughter and her college friends who express how they want someone who is going to pour into them according to what they want and need and not necessarily what we think we must give them. 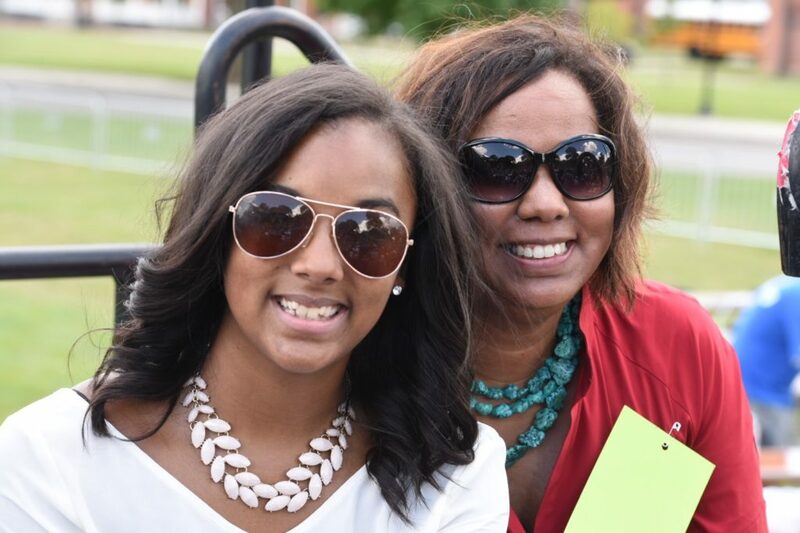 So I walk alongside my daughter who now serves as the president of our magazine, READY. It is clear that she wants to be an integral and authoritative part of the vision, mission, design, and process. She thrives off of the diversity of the publication’s contributors and content. 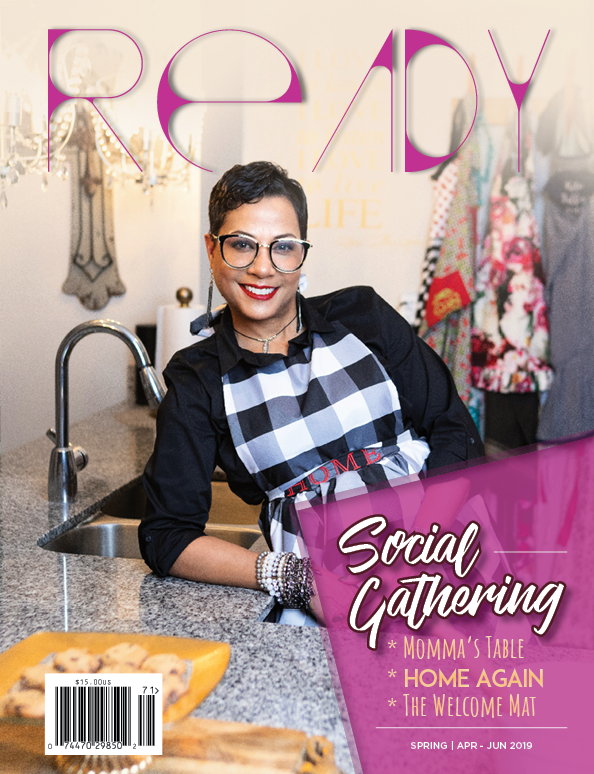 READY is edgy, different, and content-rich, positioned to create passionate and engaging conversations, which is largely a product of our cooperative mentor-mentee relationship. We pride ourselves on mentoring high school and college writers, giving them a platform to challenge the status quo and to share their voices on issues of violence, sexuality, politics, economics and society, which captures the spirit in which we began the work. At such a young age, my daughter Dominiq is already a huge success. Whoever mentors her after me must acknowledge her vocational experiences as president of a successful magazine and not minimize her accomplishments at 21 years of age, nor her unlimited potential in the years to come. Dominiq is similarly empowering others she mentors by using her voice as well as giving other young ladies a voice in the magazine. Our journeys are not the same, but the horizon is ready for us to walk forward together. The challenge may be great, but does not compare to the reward. Engaging in cross-cultural mentoring relationships today is an endeavor that will pave the way for more opportunities for those who come behind us, and who yet walk with us now.